Here are some tips to help you prepare for your newborn photo session. I tentatively schedule all newborn sessions for one week after your due date. Once your baby arrives, please call me at 347-277-9099 as soon as possible to set a firm date for your session. The best time to shoot a newborn photo session is when your baby is between 5 and 14 days old. 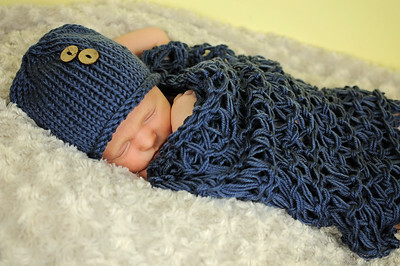 During this time newborns are still heavy sleepers, which helps us pose your baby. After two weeks, babies start to get picky about when and where they will sleep! I know how stressful and exhausting that first week with a new baby can be, but you also don’t want to miss the opportunity to capture this stage. Newborn sessions can run anywhere from 1.5 to 3 hours. This allows ample time for posing, feedings, and outfit changes. I will spend as much time as necessary to ensure the best possible images of your little one. I tell all my clients, I never get tired of shooting! I will heat the room with a portable space heater to make sure your baby stays nice and toasty, so please dress yourself accordingly! I do provide props, and I am constantly adding to my collection, but if there are any items you would like to bring, please do so!